Dairy cows at Kanoona, south-west of Bega. Photo: Ancret Shipton. Dairy farmers in southern NSW are being encouraged to have their say on Australia’s first mandatory dairy code, with consultation in Bega and Nowra later this month. It’s hoped a mandatory code would improve contract negotiations between dairy farmers and processors and incorporate an effective dispute resolution process. It’s an idea that springs from a recent review by the Australian Competition and Consumer Commission (ACCC) where concerns were raised about the fairness and transparency of contracts. This round of consultation and ultimately the end result is being overseen by the Federal Department of Agriculture, however, the proposal is that any mandatory diary code would be policed by the ACCC. 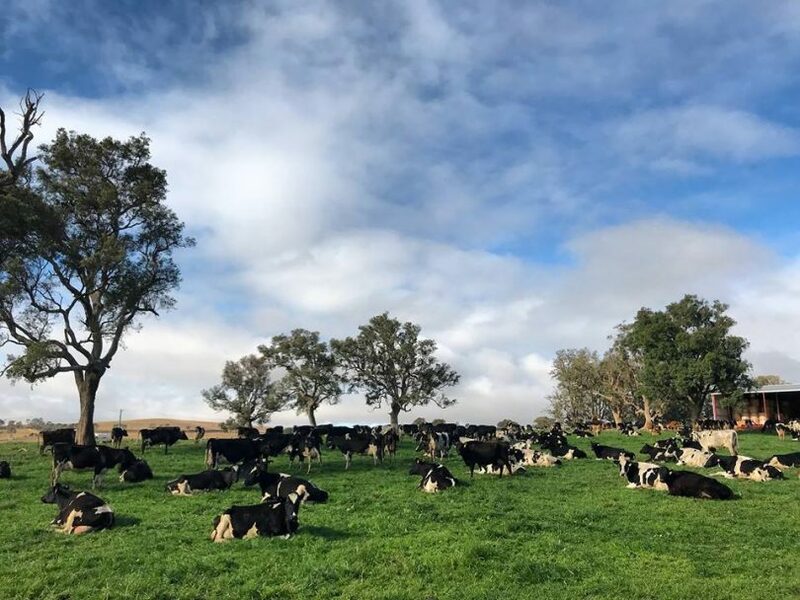 Eden-Monaro based Senator Jim Molan says local farmers and industry stakeholders should use this opportunity to help improve contracts and relationships between farmers and processors. “We need farmers and processors on the South Coast to have their say and make sure the code will work for them and our local region,” he says. Minister for Agriculture David Littleproud says the dairy industry has come to him and requested a mandatory code of conduct. “So let’s not waste time – let’s get on with it,” Minister Littleproud says. More information about the development of the code is available on the Department of Agriculture website. Fourteen consultation sessions are being held around Australian during November, including at the Bega Civic Centre, Monday, November 19 at 11 am and at Nowra Showground, Tuesday, November 20 at 10:30 am. Interested people are asked to register, email – [email protected] or phone – 1300 044 940.